Sept. 20, 2017 – This is Hartley Henry – Principal Advisor to Prime Minister Roosevelt Skerrit of Dominica. It’s 4 30am and I just spoke with Prime Minister Skerrit via satellite phone. He and family are fine. Dominica is not!! Tremendous loss of housing and public buildings. The main general hospital took a beating. Patient care has been compromised. Many buildings serving as shelters lost roofs, which means that a very urgent need now is tarpaulins and other roofing materials. Little contact has been made with the outer communities but persons who walked 10 and 15 miles towards the city of Roseau from various outer districts report total destruction of homes, some roadways and crops. Urgent helicopter services are needed to take food, water and tarpaulins to outer districts for shelter. Canefield airport can accommodate helicopter landings and it is expected that from today, the waters around the main Roseau port will be calm enough to accommodate vessels bringing relief supplies and other forms of assistance. The urgent needs now are roofing materials for shelters, bedding supplies for hundreds stranded in or outside what’s left of their homes and food and water drops for residents of outlying districts inaccessible at the moment. The tarmac at Mellville Hall [Airport] was not too badly damaged so the strip should be opened in a day or two for larger relief planes to land. The Prime Minister is hoping to make contact with ABS Radio in Antigua this morning to speak directly to the outer world as to the state of Dominica and its urgent needs. The country is in a daze – no electricity, no running water – as a result of uprooted pipes in most communities and definitely to landline or cellphone services on island, and that will be for quite a while. In summary, the island has been devastated. The housing stock significantly damaged or destroyed. All available public buildings are being used as shelters; with very limited roofing materials evident. The country needs the support and continued help and prayers of all. ...There has been no updates since, and efforts to reach the island have so far been unsuccessful. This morning, the government of Trinidad and Tobago announced it would offer assistance to Dominica. Communications from the Ross University School of Medicine on the island of Dominica indicate that they have accounted for the majority of students. Info coming in to Red Apple Radio Station at this time from varying sources indicate the following with reference to Hurricane Maria in the Caribbean islands. Dominica Amateur Radio handle user #SeirraLeeNicholasJules indicates that there are reports of death in Dos D’Ane, identity of the 68yr old female is yet to be released. Four persons are unaccounted for an it is not known if they were swept away in the floods. Vielle Case police station completely destroyed. 95% of roofs in the Mahaut and Portmouth areas are gone. Majority of road ways are blocked. Communications are still down island wide. News from Martinique via the Caribbean Tourism Organisation indicates that : Martinique Aimé Césaire International Airport has now opened and is fully operational. The Airport Management Team of Martinique Aimé Césaire International Airport informs all passengers that the airport is opened for traffic. No damage was reported to the airport infrastructure as Hurricane Maria hit Martinique as a category 4 Hurricane. Passengers are however urged to contact their respective airlines for flight information. The RED APPLE RADIO STATION team wishes to extend good and positive vibes to all affected by the passing of Hurricane Irma. We are keeping each and everyone of these regions in our thoughts and prayers and will aim to provide information where possible. Several countries have set up emergency response centres and are communicating these via various social media channels. Additionally, embassies and consulates are also issuing communications via various means as to their citizens who may be in these countries. In most cases, these are requesting that their nationals get in touch with them a.s.a.p to ensure they are on their respective nationals list. We wish to thank each and every one of you for your continued support, participation and encouragement. 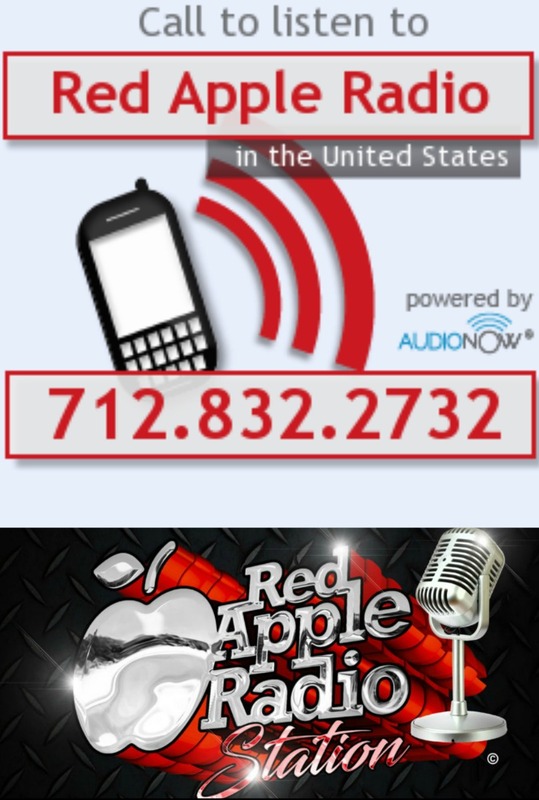 RED APPLE RADIO STATION has some exciting plans for 2018 and will be sharing them with you once all aspects are confirmed.